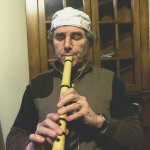 Amazing, a pocket-sized shakuhachi! What key is it? Music is the very breath of life. D an octave above 1.8. Nice! I made this .9 for Sasa after she was born. Jet also has a .9 they've both been taking their lessons with. Wow with a 0.9 and a 3.3 you can have 3 flutes tuned to D in 3 octaves. 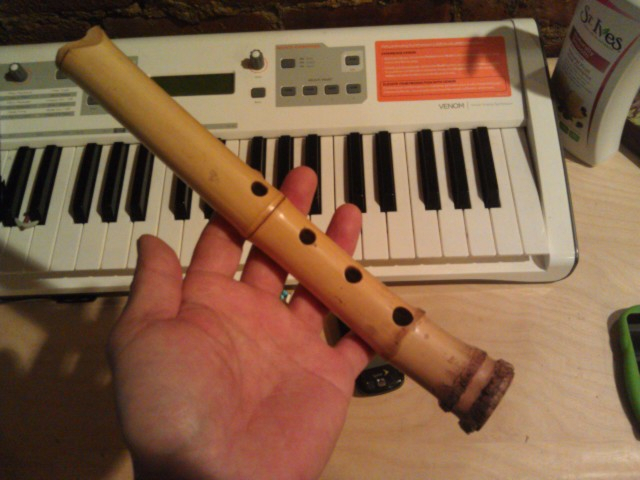 OK here's a video of the flute. It has a very delicate tone, so I suggest you put headphones on and turn the volume up all the way. That is very very cool! And you guys seem to have had a great time!! !